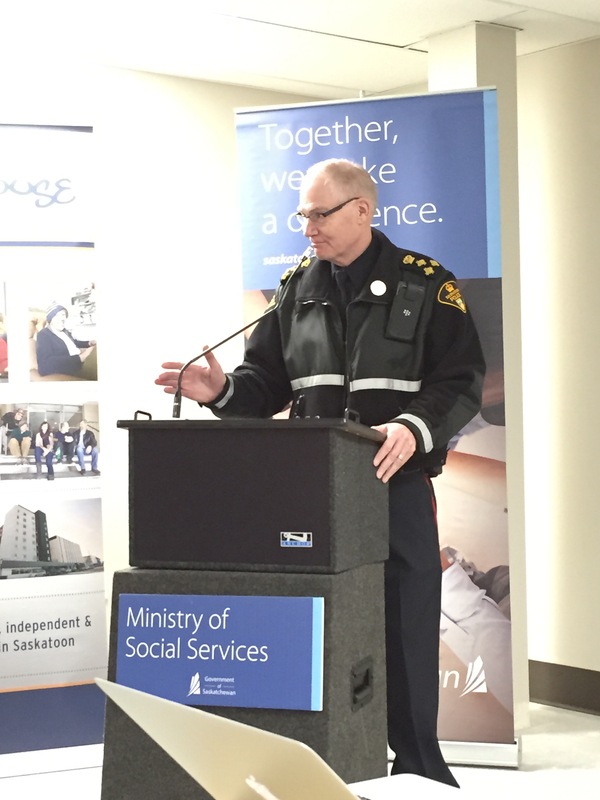 Gaps in services mean that many people who are homeless or at-risk of homelessness in Saskatoon are tragically falling through the cracks. 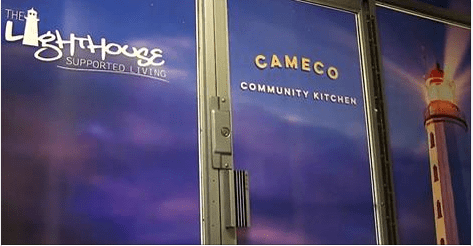 Saskatoon Housing Initiatives Partnership (SHIP) and the Community Advisory Board on Saskatoon Homelessness (CAB-SH) are proud to announce new services and supports for individuals and families who face homelessness which will fill these gaps. 1. The Saskatoon Indian and Metis Friendship Centre will receive $35,306 in capital funding to renovate their client meeting space and lobby. 2. The Lighthouse Supported Living Inc. will receive $55,941 in capital funding to develop a bed bug heating chamber and renovate the laundry facilities for their supported living clients. 3. 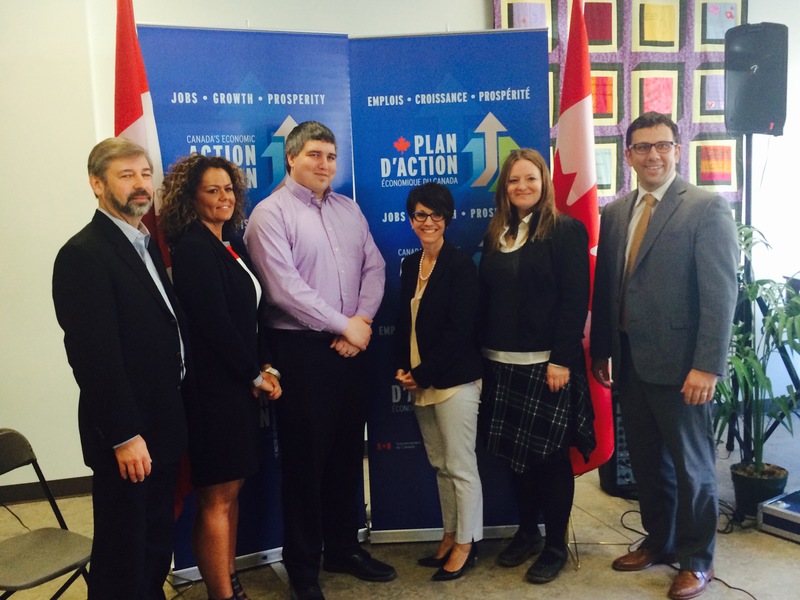 The Saskatoon Indian and Métis Friendship Centre in partnership with the Friendship Inn will receive $223,526 in multi-year funding for three new staff positions to address homelessness. Two Rapid Rehousing Case Managers and one Centralized Intake staff person will assess needs and support individuals and families to find housing, access income supports and work towards housing stability. The Centralized Intake position will serve clients who may be referred to a number of appropriate services, including Housing First case management. 4. 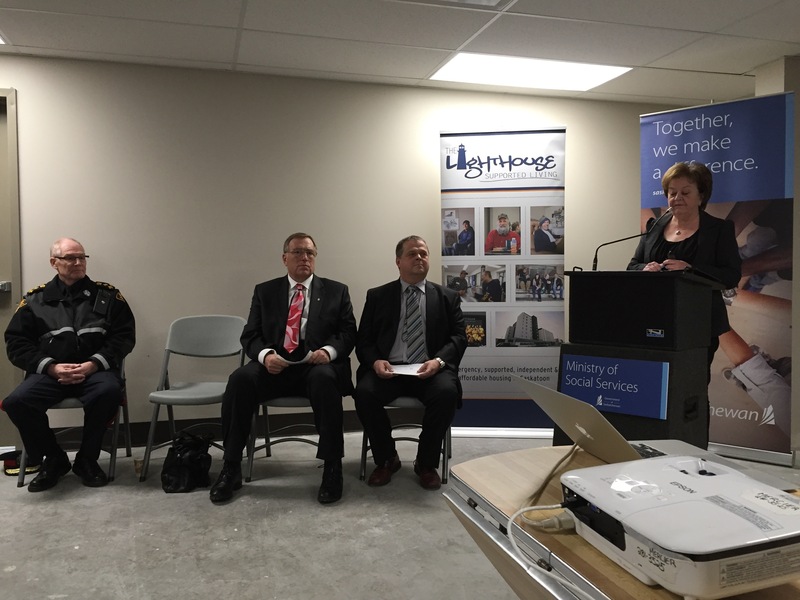 The Lighthouse Supported Living Inc. will receive $150,261 in multi-year funding for a Housing Locator position to help locate and secure housing for Housing First and non-Housing First clients in Saskatoon. The four new staff positions will work collaboratively with Housing First case managers at Crisis Intervention Services, as well as other community agencies that provide case management and support to people who are homeless or at-risk of homelessness. 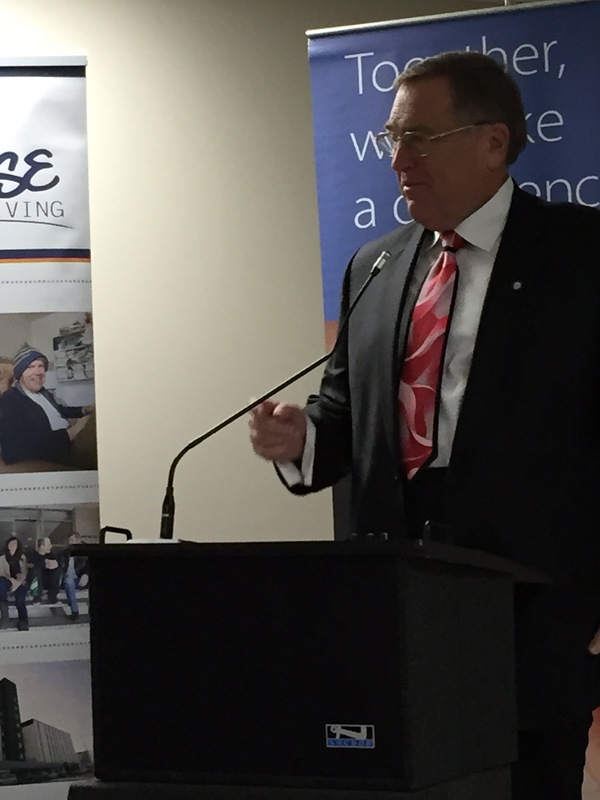 These investments at the Lighthouse that will have a significant impact on the quality of life for Lighthouse residents and those who have experienced homelessness in Saskatoon, says Don Windels, Executive Director of the Lighthouse Supported Living Inc.
Lighthouse Pop-Up Shop in Centre Mall this weekend and next! Thank you to those you stopped by and gave to the Lighthouse Pop-Up Shop. We are located in the Centre Mall this weekend and next, asking for your donations to help those who are experiencing homelessness this winter. You can also donate via this very site! Click www.lighthousesaskatoon.org/givehope/. Your donations help us expand the good work the Lighthouse is already doing in the community. This year your donations have helped with such various things such as expanding the hours of the Mobile Outreach, purchasing bug-proof mattresses, and helping purchase art supplies for Saturday programming. To read more about the Lighthouse Pop-Up Shop read this great article from the Metro News which you can read here. A video will be coming soon!